Thank you all for attending Dr. Benjamin’s Mathemagic show. 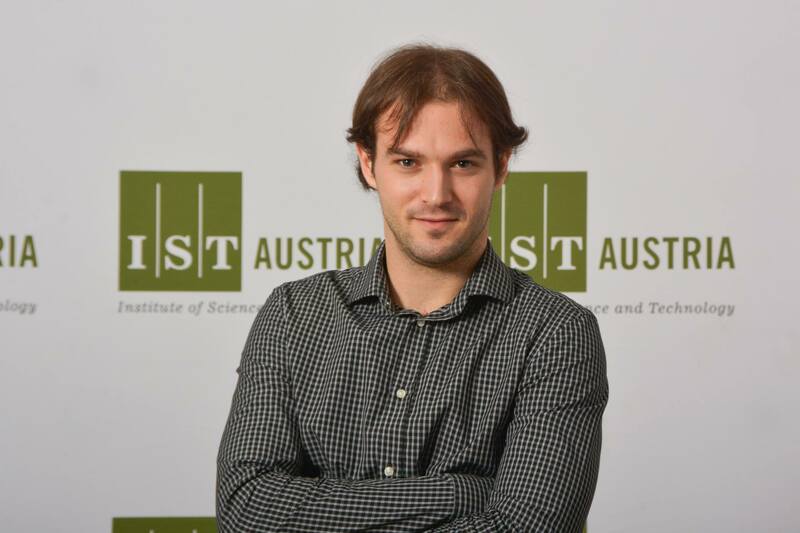 His joy of math, curiosity, and connection with the group made the presentation come alive for all who attended. If you’d like to learn more about how you can engage in problem-solving activities in the area or other upcoming speakers, please email kathy.cordeiro@gmail.com. 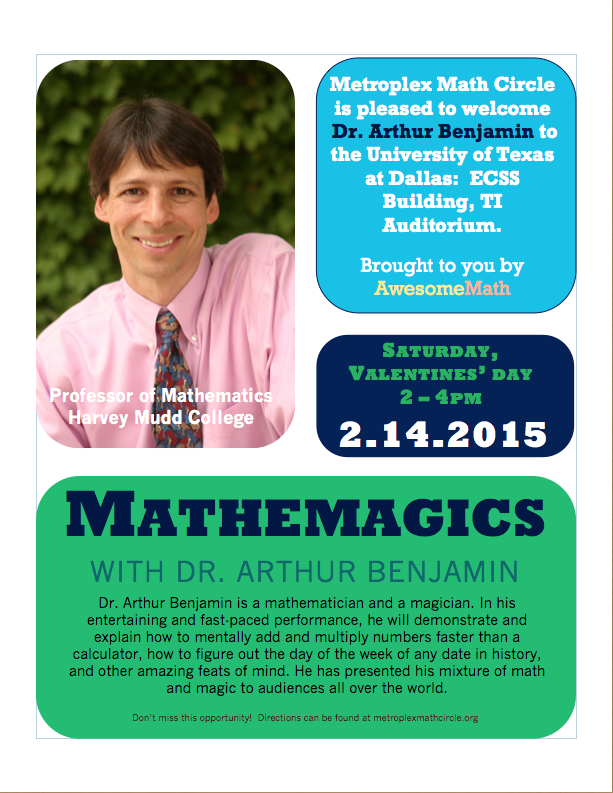 February 21, 2015 – There will be no math circle, therefore, it is a great time to take a tour of AwesomeMath Academy! Drop by anytime classes are in session: http://www.awesomemathacademy.org/classes.html. February 25, 2015 – MMC will be hosting the AMC 10B/12B. Pr-registration is required. Contact kathy.cordeiro@gmail.com for more information. 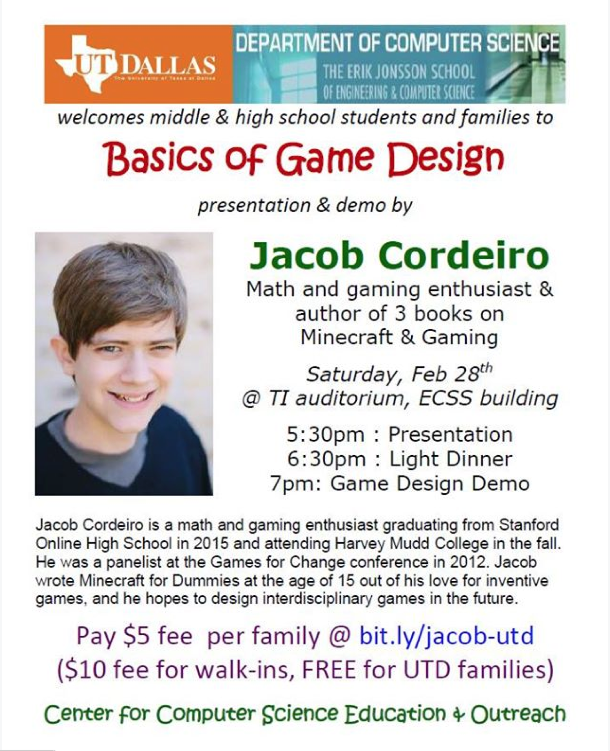 February 28, 2015 – MMC’s very own Jacob Cordeiro will be presenting at UTD’s Computer Science Education and Outreach program. No math circle on this day. For some simple games, there is a clear winning strategy for one of the players, which makes the games a bit boring. Or does it? Well, only if you actually find the strategy! Come join us for a fun look at games and the winning strategies behind them.